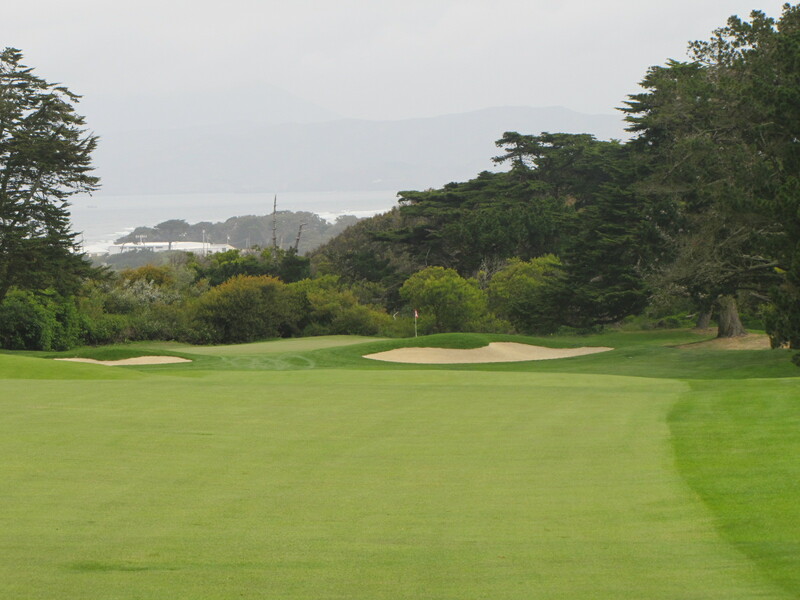 The 2011 Olympic Club Invitational is simply the best Invitational I’ve EVER played in period! Let me give you a summary of the event. The event includes two practice rounds on the course of your choice, followed by two tournament rounds on the Lake and Ocean. The Thursday practice round is the Derby (Horse Race) qualifier. When you check in you and your partner receive Titleist balls, an Olympic pullover, a beautiful Giclee print of our new par three 8th hole. Let’s talk about the food for a minute, I’m not sure I’ve ever seen quite a spread like this anywhere in the world. Carved beef and turkey, sushi, crab, shrimp, fajitas…the presentation of the food was exquisite and incredibly tasty. In addition to the food inside the Clubhouse, we had unlimited access to the famous Hotdog Bills stands on the course, all the FAMOUS burgers you could eat and more. The driving range had a tent with coffee, juices, smoothies, doughnuts and muffins available in case you were running late and missed the full breakfast. Talk about service, forget about it, I have never seen any staff hustle like this before. Everything you needed was quickly and graciously served, even our new and amazing GM Greg DeRosa was there to assist, I saw him scooping range buckets at the driving range. I’m not sure I ever saw our past GM at an event? No knock on him personally, but what a difference we are seeing at the Olympic Club in all facets of our amazing facility. With the 2012 US Open fast approaching, we are in a great position to perhaps throw one of the greatest championships in history. The golf course was nothing short of SPECTACULAR!! Of course I would have preferred to have the tees back, but what we got was a preview of just how tough the open will play next summer. The fairways were fast, tight and firm. Driving the ball in the fairway became a difficult task with the rollout on these sloped fairways. The pros will need to shape every drive on the course, followed by extremely accurate shots into these small and firm greens. We didn’t have much rough to speak of, which assisted in keeping the length of the rounds under 5 hours. The professional staff was in full force to assist with scoring, and all the wagering options available. For those of you that have never played in a Derby (horse race) this may be the most pressure packed golf you can ever play. Perhaps more explanation is needed here, 16 groups of 2 are divided into two groups of 8 by handicap. Each team has a designated person hit the first shot, then you alternate shots until you’ve holed out. What makes this even more challenging are the hecklers enjoying their cocktails while waiting for a player to muff a shot. I was the first to hit off the 7th hole from an up tee which made the hole only 265 yards long (par 4). Thinking I could drive the green, I pulled driver and hit a rope hook that even a hacker would have been disgusted with. Thanks to my partner Darryl Donovan, we survived the 7th hole with a par 4 (of the 8 teams we lose 2 teams per hole). So off the the 8th hole playing 170 uphill to a back left pin. I again was up as Darryl had holed our par putt on the 7th hole. Again I hit first of the 6 teams left in our wave, and again I hit a rope hook, but this time with a freakin 7 iron into the tree left and most likely the end of us. Now Darryl was faced with a tough flop shot to a very firm green. His only poor shot resulted with a chunk-ed chip short of the green, leaving me with an easy 3rd shot to this tough par 3. We did make four, and fortunately even giving most groups a stroke on the hole, we ended up in a chip off for the last spot to play #9. I hit a poor flop, but still survived to move onto the 9th hole with 3 other groups all getting a stroke on us on #9. Finally we hit some quality shots resulting in a solid par 4. One group made a bomb for par net 3, to advance leaving us in a chip off with another group. This time Darryl hit a great flop to about 4 feet ensuring we’d move onto the last and final hole. Here is where it got interesting, as the last group behind us was playing quite slow (lots of shots) and finally the last to spots were filled with OC President Mark Campagna who would be getting 2 strokes on the last hole of the Derby #18. The problem is after they hit two shots, they basically lie 0, making it very tough on us. We made a solid par, and waited to see what Mark could do with an uphill 6 footer to win the Derby. I must admit I was surprised and impressed when he holed it to win the Derby. After a final chip off we finished 2nd after many very poor shots over this fun 4 hole Derby. It was a LOT of fun!! The final round for us was on the US OPEN venue Lake course that was in absolute pristine shape. 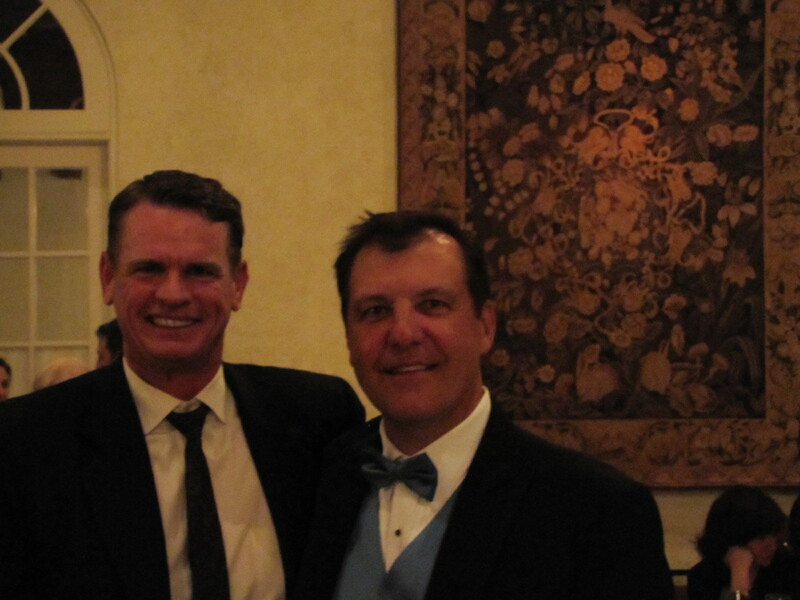 Finally Darryl and I got untracked and shot a final round 64 (10 under total for 36 holes) to win the low gross prize which was presented to us at the Gala Black Tie dinner that followed the conclusion of the event. This was a first class event that again made me proud to be an Olympian. Next year due to the US Open we will not be hosting our annual Olympic Invitational. 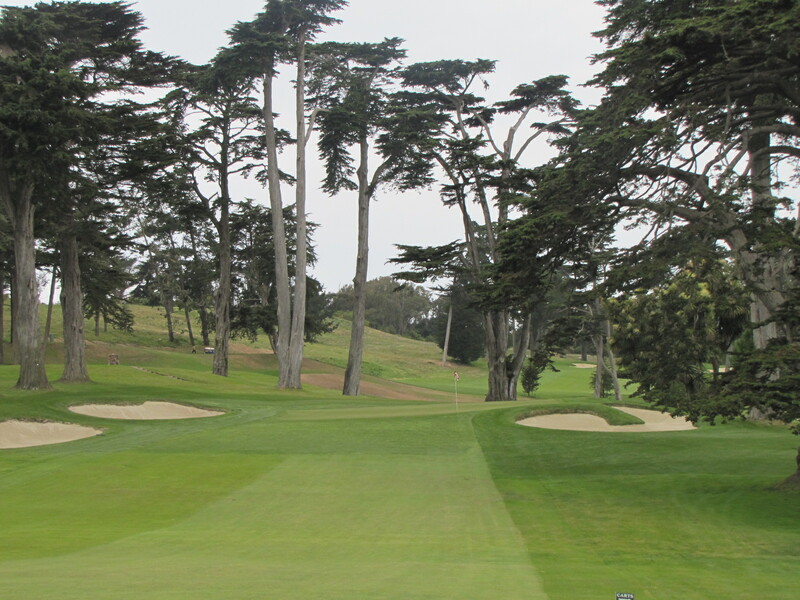 The Open at the Olympic Club will be a great way to see the best players up close and personal. The course set up allows spectators to see live action close to the greens and fairways. I strongly urge anyone interested in attending to get your tickets early as this will be a sold out event. I’ve got a few pictures below of how the course looked, along with me and my partner Darryl Donovan.